Don`t let the underlying theme of this trend put you off from creating your own fancy art look as dressing head-to-toe in the style isn`t the only way to get a colour fix for spring. Invest in one key garment such as a shirt or bag and let them be the focus of your paintbox inspired ensemble. 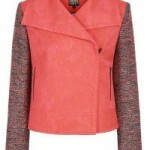 This is an ideal opportunity to experiment with bright hues if you tend to normally stick to muted or neutral shades. Plus what better way to celebrate the sunny blue sky days we`ve been treated to lately. 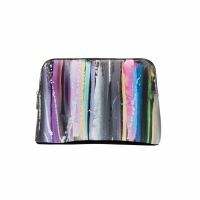 If you`re unsure of where to start for this fun trend then take note from designers such as Celine and Chanel whose use of colour and kitsch prints inspired the high street to follow suit. 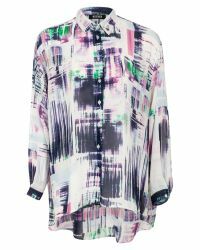 You`ll love the array of arty infused pieces which, lucky for our bank accounts, are exceptionally affordable so there will be no long term damage to updating your wardrobe with one of spring`s must-rock designs. You could also be creative and have a more hands-on approach at producing your own paintbox worthy attire. Just choose your garment and let yourself loose with the fabric paints – a fashionable hobby which could catch on! 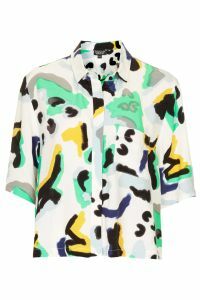 Alternatively, just hit the likes of favourite shopping destinations such as Topshop, ASOS.com, French Connection and Missguided.co.uk for items that have already been injected with perfect art-tastic prints!